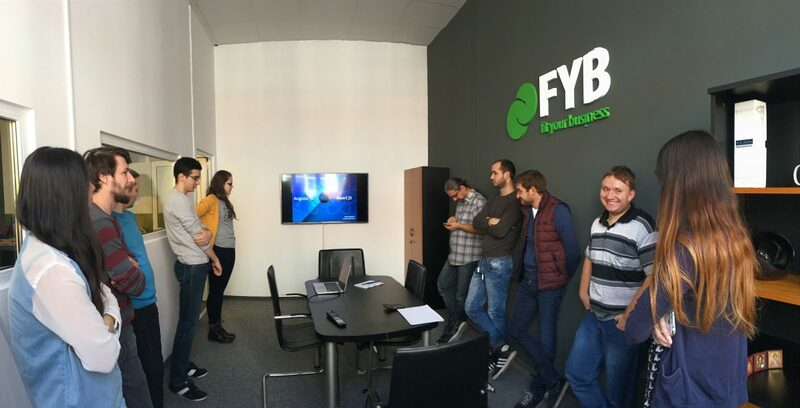 Under the #FYBTalks presentation series we do at FYB, today we’ve been given a presentation by Adela & Adi, two of our colleagues, about the two front-end technologies that fight to be the most used solution for web based applications. 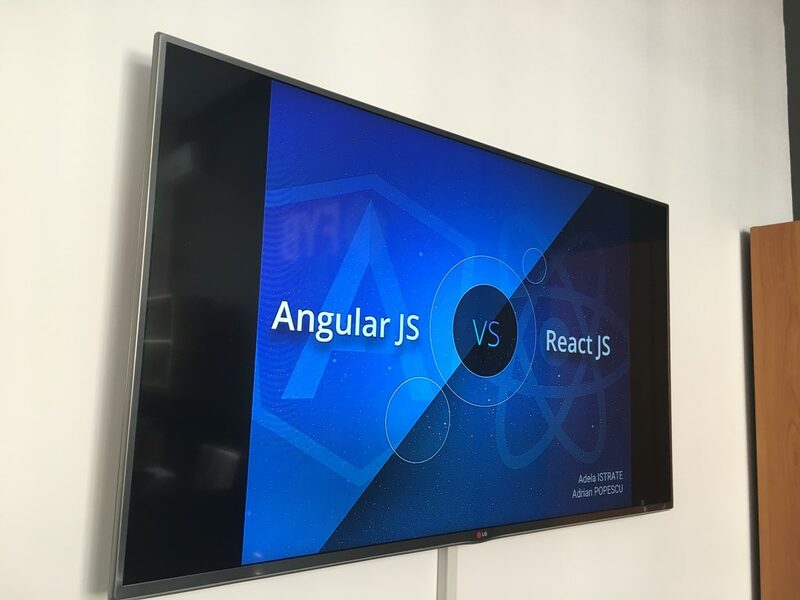 We’ve been learning about the usage statistics (GIT contributors and so on), pros and cons for each solution, the “revolution-evolution” from Angular 1x to 2 and the 3rd generation announcements, the easiest way to construct web apps and them migrate them to mobile apps and so on. We tend to use both of the technologies here at FYB and we are sure both of them will have many more surprises in the future as they mature and then to be more used. If you want to join our team and learn together the latest web technologies see here the latest our job postings and drop us a CV!